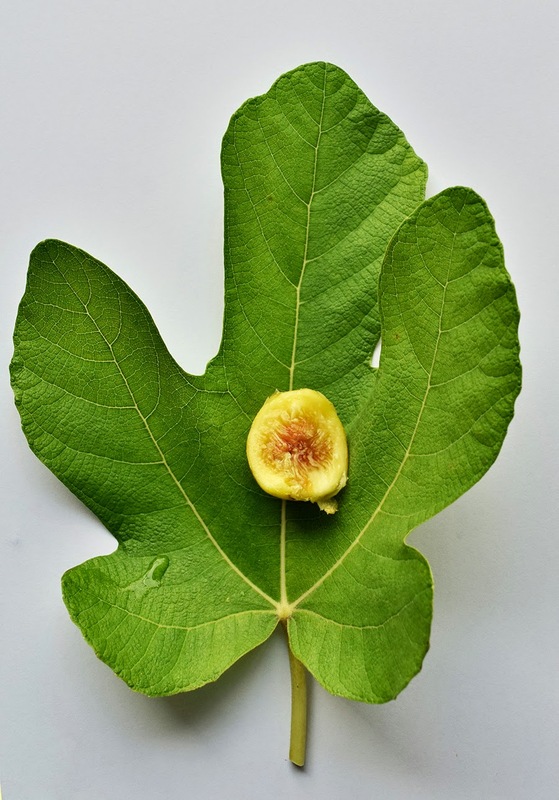 I finally get to taste the White Sicilian (Sant Antonio) fig that I planted early this year. 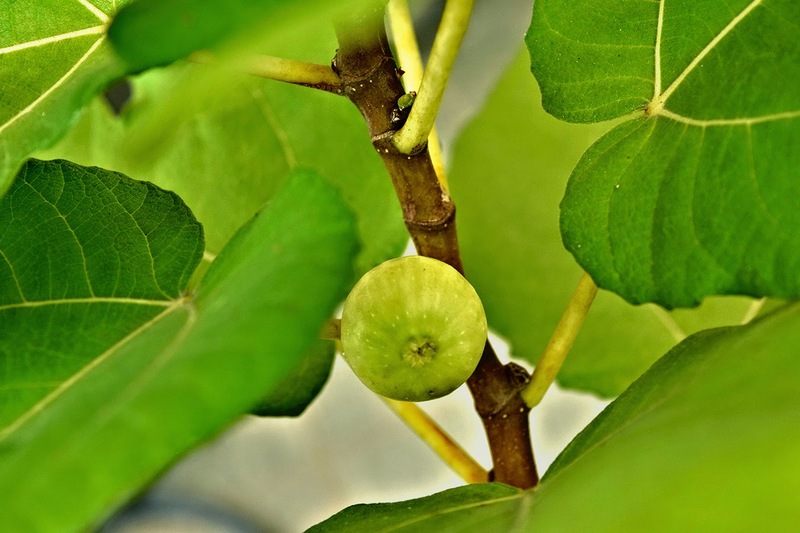 Figs can be grown in pots and will bear fruit, but one must ensure that drainage is good, and more importantly, the plants are well-fed. On the other hand, you must also watch out for water stress, especially when the tree has fruits as wilting and water stress will cause the tree to abort the developing fruits. I got this tree as a small plant from a friend that had bought cuttings from the internet on ebay. It grew as a straight bole plant, and towards the end July, had formed six synconia. Alas, I discovered that four of the fruits went missing when I got back from holidays. I can only assume that some birds were lucky when I was away and had made good of the ripe fruits, since no aborted fruits could be found in the vicinity of the potted plant. The unripe fruit reaching maturity and turning a pale green colour. The white Sicilian Sant Antonio fig taking a strong yellow colour and being heavy, takes on a nodding position. So keeping the fifth fruit under my watchful eyes, I decided to pick it today as it had turned a strong yellow colour and the fruit nodded a little. Even so, I had picked it a little too early as the stem were still strongly attached and the fruit was only 3/4 soft. Well, better early than being eaten by birds. Fruit showing the amber and pinkish pulp. It is the pulp that is really sweet. A closer shot of the fruit showing the juicy pulp. 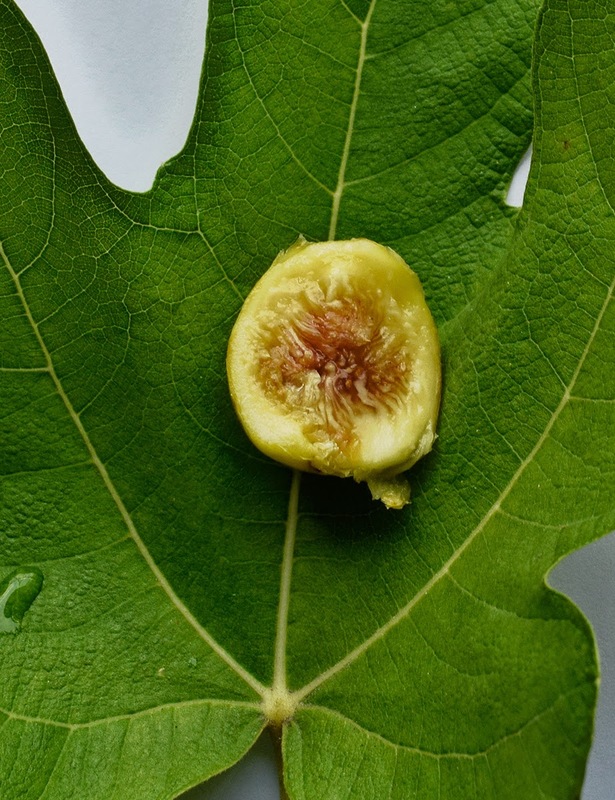 The fruit changes from green to pale green - white to a strong yellow colour as the fruit matures and ripens. Also the fruit will start to nod and feels soft when pressed. When cut, the fruit has pale yellow flesh and dark amber with pinkish centre pulp. It has a strong papaya taste and is reasonably sweet. Overall, it tasted so much better than commercially imported, fresh Turkish figs that tasted like soap to me. Now to get the other figs to bear fruit. The current wet and hot spell has been wrecking havoc on their leaves and also the roots as the soil soaks up too much moisture. Hopefully ada ole-ole dari Bob for you bila dia lepak sini semula. Kan, kalau miss sehari, dah jadi makanan binatang pulak. Banyak juga fig collection you ada sekarang. 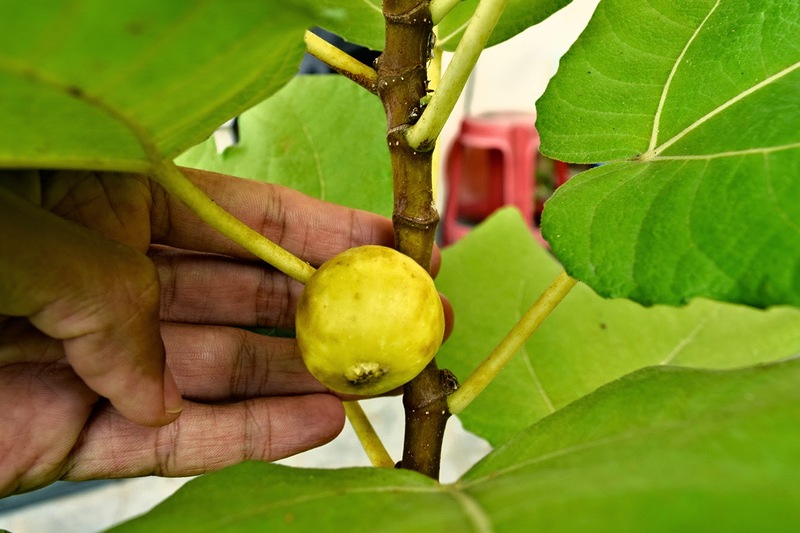 Hehehe, oklah, ada TGF, Green Battalgia, one of the LSU, Celeste, Tena (yg kecik molek entah nak tumbuh ke tak), Red Libyan fig. But raining season they get really unhappy with constantly moist soil. tropical weather ni tunggu masak berapa lama ya? Yang Bob bawa tu bila masak turn brown is it? Figs take usually 3 mths dari nampak putik. Yg Bob bawak masuk masak merah to purple. Tapi kalau cuaca hujan, air boleh masuk ikut mata, so kalau nak tunggu purple, kemungkinan masam. so kalau dah merah dan lembut dan buah tunduk sikit dah ok.